Divinely sweet, fanned and at the same time — a slight pleasure — this is what you get when you make a banana. 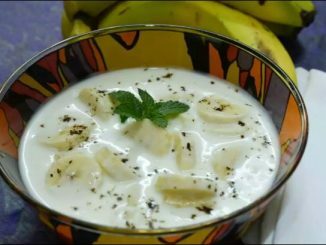 For kids, this is a great alternative to ice cream during the cold months and can replace the traditional breakfast! Ice cream sticks or plastic spoons. Cut the ends of the bananas by 4-5 cm and separate them – you’ll need it later. Cut the remaining pieces of ice cream sticks and put in the camera for an hour. Pass the fork ends of the bananas you have separated. Add the sugar, vanilla extract, oil and stir well. Add the flour, baking powder, cinnamon and salt to the mixture. Mix again. Pour into a glass of soft drink. Then remove the banana pieces and dip each in the glass until it is well covered. Heat the fat in the pan and bake. Allow draining on a napkin. 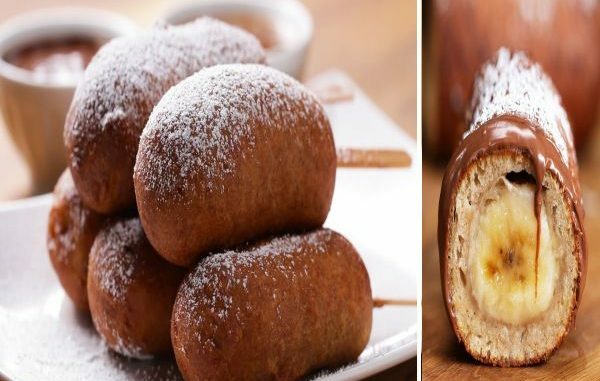 Bananas can be sprinkled with powdered sugar or served with chocolate or a sweet jam! How to make homemade Fanta?